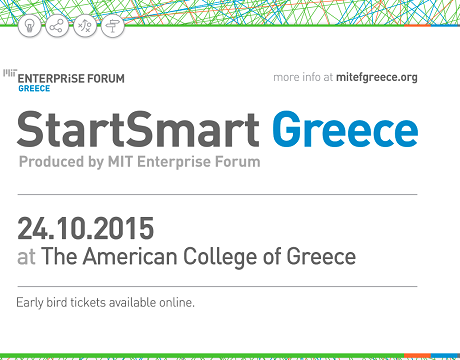 For second time in a row, MIT Enterprise Forum Greece is organizing the conference StartSmart Greece, at the American College of Greece, on Saturday, 24th of October 2015. 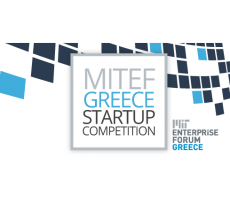 Its objective is to grow, refine, and nurture the Greek entrepreneurial ecosystem. This program invites stakeholders to engage on a local, and regional level, while integrating world-class tools and techniques to foster research-to-market idea and startup growth, pushing them to the next step. Stakeholders include entrepreneurs, startup members, thought leaders, subject matter experts, investors, industry, business executives, academia and members of the MIT community, who are helping to tackle the world’s biggest challenges. StartSmart Greece inspires, connects, coaches, and informs technology entrepreneurs to succeed faster and smarter. Through curated, relevant, and experience-based programming, entrepreneurs gain the knowledge that will help them take their venture to the next step. StartSmart offers versatile learning opportunities, crafted on the premise that successful entrepreneurship is a learned art, when supported with a practical and proven methodology.